STJ1390 CO2 laser engraving machine is equipped with a precision water cooled CO2 laser which can engrave on almost any non-metal materials surface. 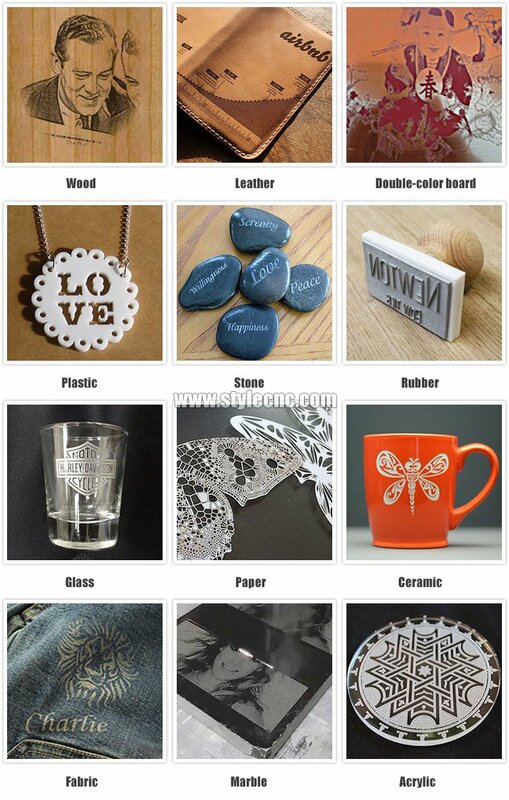 The CO2 Laser engraving machine can also be used for cutting many different materials. With the cylinder rotary attachment, you can engrave any cylindrical object, such as cup, brush pot, musical instrument and so on. 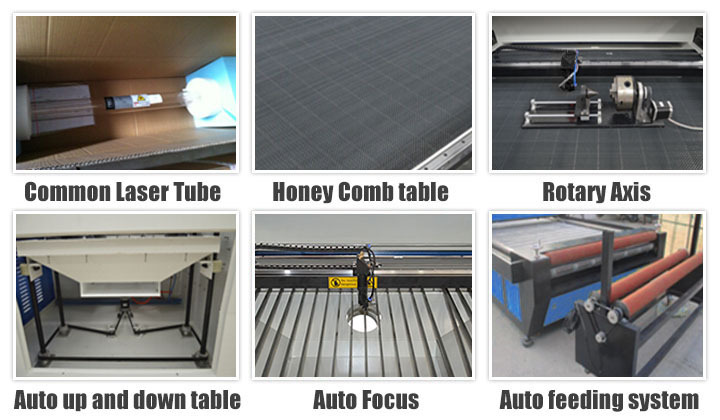 The laser engraving machine supports multiple graphic formats, such as PLT/DXF/BMP/JPG/GIF/PGN/TIF and so on. 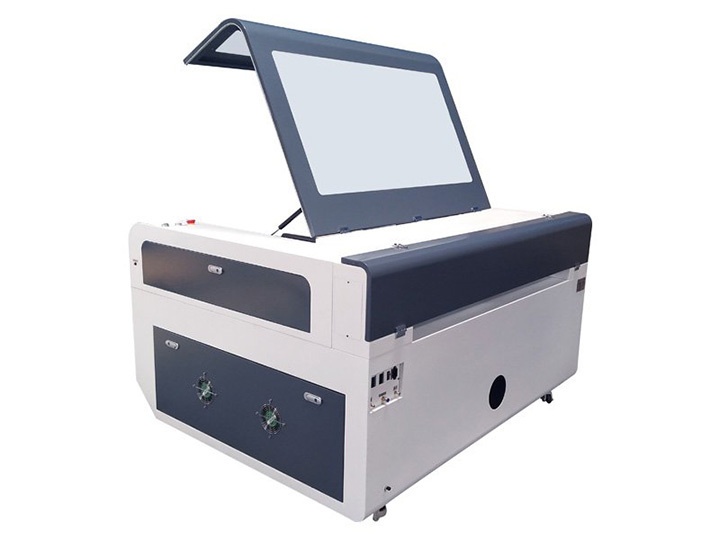 The CO2 laser engraving machine is equipped with DSP control system for CorelDraw/AutoCAD and other advanced software.The laser engraving machine is compatible with WIN10, WIN8, WIN7, Windows Vista and Windows XP. 1. 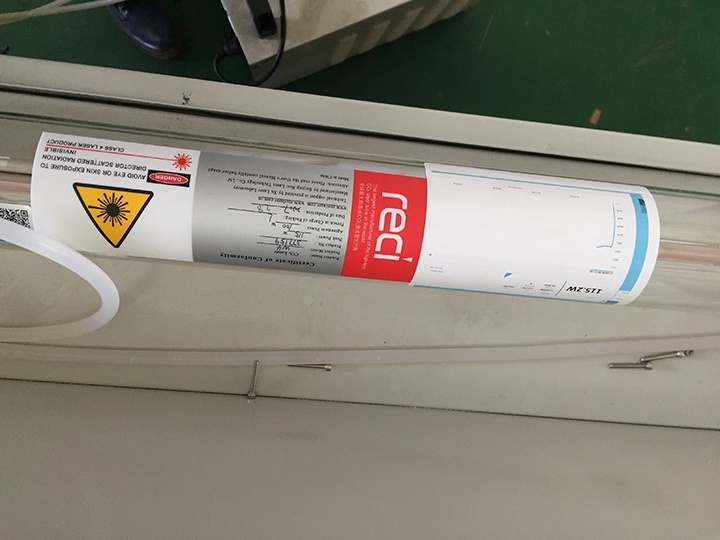 Configure 60Watt, 80Watt, 100Watt, 130Watt, 150Watt, 180Watt CO2 sealed laser tube. 2. Automatic up and down platform optional. 3. Honey comb table or Knife table for choose. 7. Owns functions of restoring from power off, continuation on break point. 8. Transmit files directly in CorelDraw, AutoCAD, etc. 9. 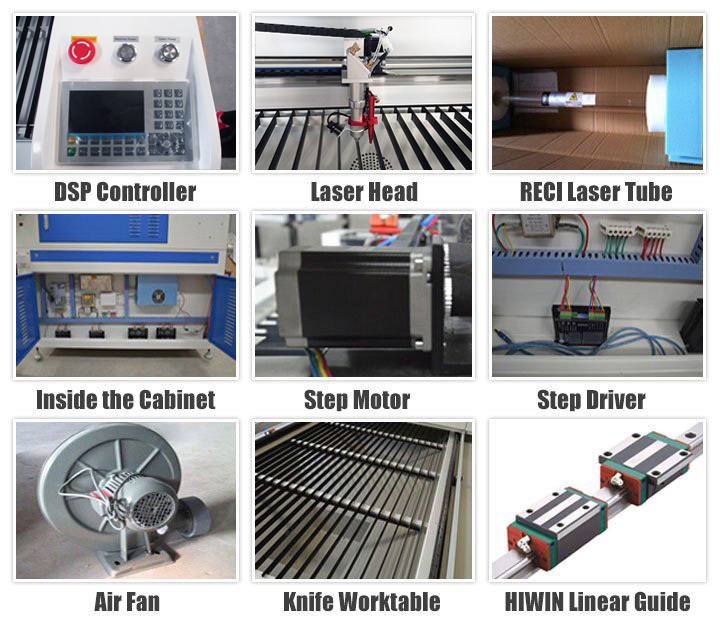 The CO2 laser engraver adopts international linear rail, more precision. 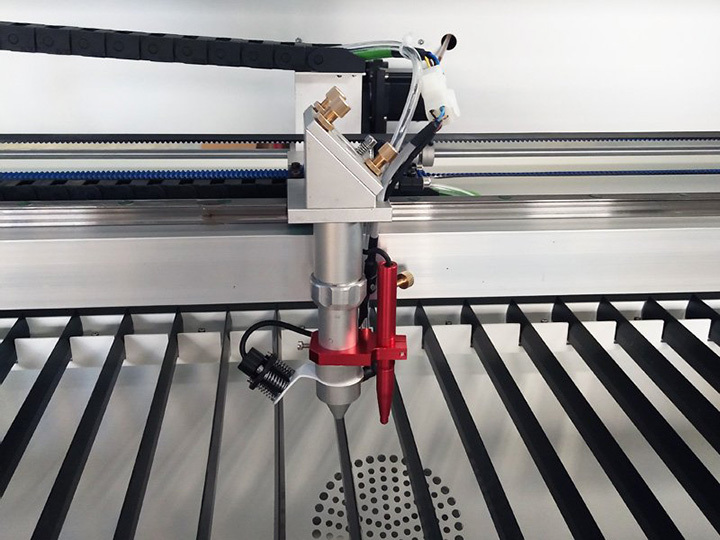 This CO2 Laser engraver is used for woodworking, textile cutting, industrial prototyping, industrial marking, sign making, medical part marking, aerospace, architectural modeling, specialty advertising, plastics fabricating, flexo, point of purchase, rubber stamps, picture framing, gift manufacturing, bar coding, engraving, gasket cutting, puzzles, cabinetry, awards recognition, personalized pens, door pulls, cut scroll patterns, games, toys, finger joints, inlays, overlays, fraternity paddles, music boxes, light switch plates, jewelry boxes, parts marking, router templates, desk sets, scrap booking, photo albums, jewelry, crafts, Italian charms. 1. 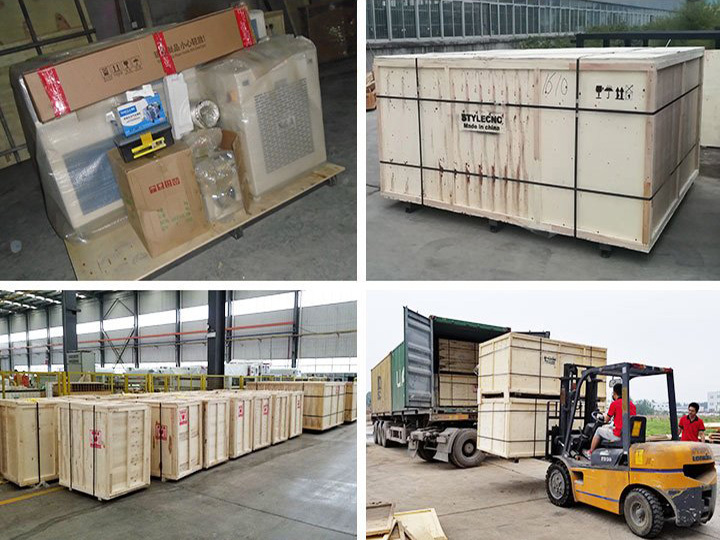 Applicable materials: wood, acrylic, stone, bamboo, organic glass, crystal, plastic, garments, paper, leather, rubber, ceramic, glass and other nonmetal materials. 2. Applicable industries: advertisements, gifts, shoes, crafts, arts, toys, computers, garments, model cutting, building, packaging, paper industry. 1. Working Area: 1300*900mm, this can be customized as your requirements. 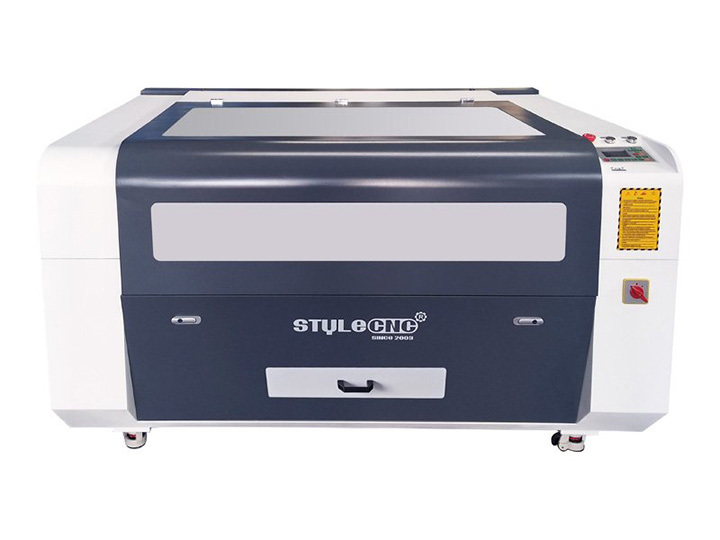 License: The text of "CO2 Laser Engraving Machine 60W/80W/100W/130W/150W/180W" by STYLECNC is licensed under a Creative Commons Attribution 4.0 International License. I'm very pleased with my laser engraver. It does what I want it to do. The only downside was everything was in Chinese on the disc. but the supplier send me again in English, thanks for patience! I received this co2 laser engraver for a couple months now, and it is a good machine for laser engraving beginners. I started my own business with it in August and it has already payed for itself. Works great on wood and leather, and even cuts thin wood. After a few weeks, I plan to buy a bigger power machine. 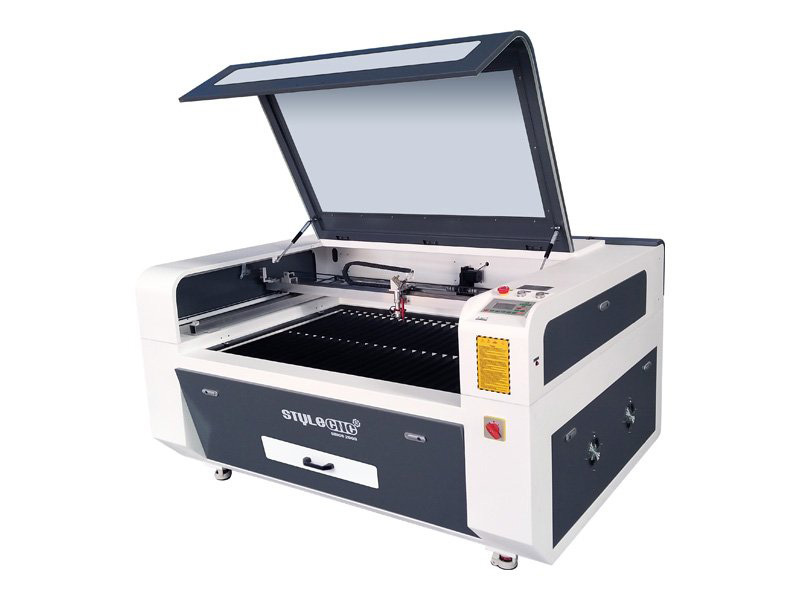 This is a great starter laser engraving machine and at reasonable cost for its size if you would like to engrave on wood or other soft materials. I can not say enough good things about this laser engaving machine. I mostly do woodworking as a hobby right now, and this laser machine takes my shop to the next level. Every piece is high quality and built to last for many years to come. I bought the laser engraving machine for my brother. It is a must-have thing for him. He produces acrylic and need it to engrave his Logo. He told me it is great. He printed hundreds of acrylics and it worked well. It arrived quickly (thanks STYLECNC). I'm going to write this review to answer some of the impression I had about the laser engraver. I'm giving this laser engraver a high rating for two reasons, resolution and cost. This machine is good for a hobbyist and cheap for the capability. The main issue I have is that it has a very good working effect. I have been operating this machine for a little over a year. Their service was very good. These types of machines all need regular servicing and maintenance, if you are willing to learn a little about how it all works and take care of it, I feel like it is an awesome product for the price point and it is definitely a workhorse. I purchased this laser to replace a cheap 40w Chinese laser machine, I had LOTS of problems with my old 40w laser machine and I must say I am impressed. The features on this unit are worth the extra cash. And in reality, this unit is MUCH cheaper than other competitors. I initially had an issue with the unit when it arrived and the STYLECNC team was very quick to respond and help me.